Used Chevrolet Lacetti Review - 2005-2011 | What Car? What's the used Chevrolet Lacetti hatchback like? Born in 2004 as a Daewoo and rebranded in 2005, the Chevrolet Lacetti is a mid-sized family car that's slightly smaller than a Ford Focus. It's cheap to buy and has a splash of style, having been designed by the Italian studio Italdesign. This hatchback and its saloon brother were available from Day One (when it was still a Daewoo), and the estate was introduced when General Motors rebranded the range as Chevrolet. Like all Lacettis, the hatch is reasonably practical, with generous rear leg room and a large boot, with split/fold rear seats. The interior design is straightforward, with a good, widely adjustable driving position and plenty of stowage. 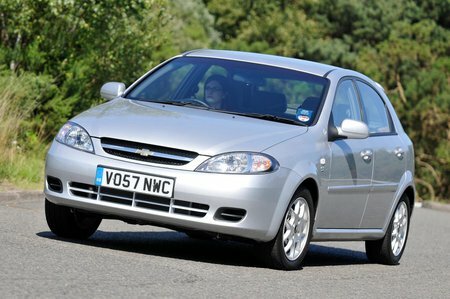 On the road, the Chevrolet Lacetti is reasonably comfortable, but it doesn't like being hustled through corners. On top of that, the steering lacks feedback, the gearbox is far from slick and refinement is disappointing, with plenty of engine and wind noise entering the cabin.